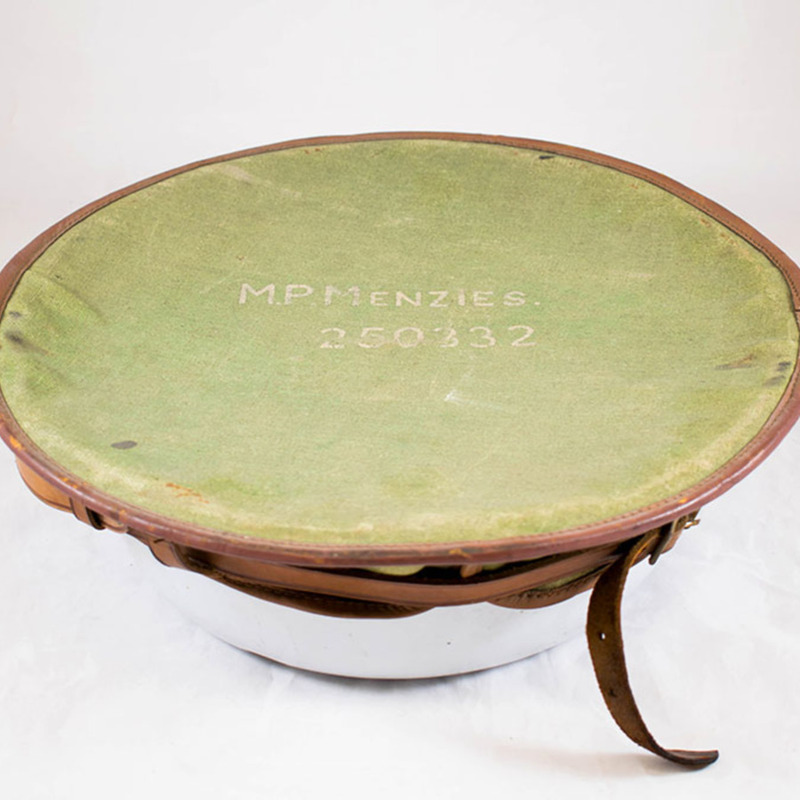 This iron basin belonged to Dr Maud Perry Menzies during her time working in the RAMC during the Second World War. After the War, she returned to Glasgow and worked as a Medical Officer of Health. Enamel, iron, canvas, and leather. This image is licensed under a Creative Commons BY-NC-SA License. You may download a low resolution version for private study or non-commercial use. See our terms and conditions and copyright policy for further information. If you would like a high resolution image or wish to seek permission to publish, please get in touch. Unknown, “Enamelled Iron Basin,” Heritage, accessed April 23, 2019, https://heritage.rcpsg.ac.uk/items/show/129. 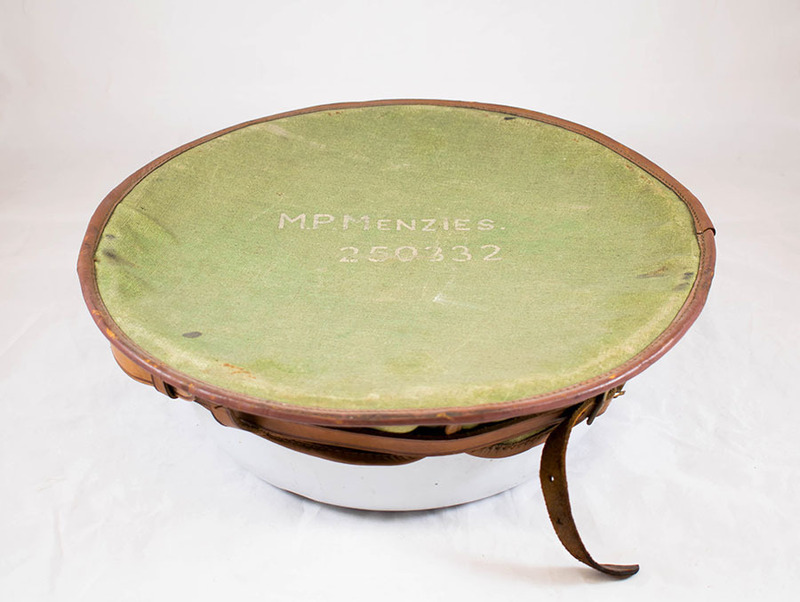 Description: This iron basin belonged to Dr Maud Perry Menzies during her time working in the RAMC during the Second World War. After the War, she returned to Glasgow and worked as a Medical Officer of Health.